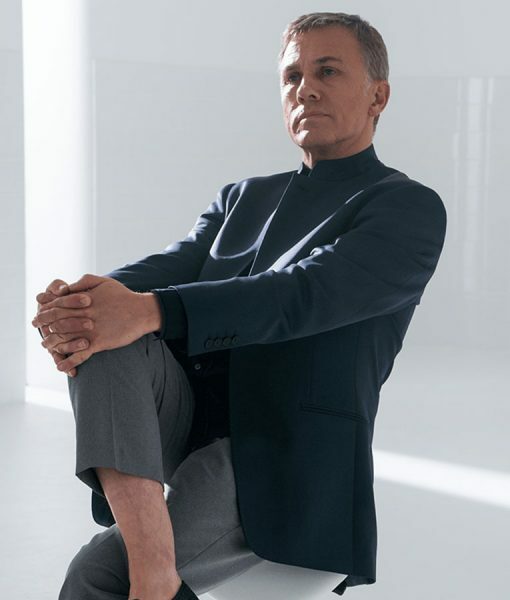 Spectre Nehru Jacket is classy attire has been used in the latest edition of James Bond film “Spectre”. Christoph Waltz has attired this coat as Franz Oberhauser in the movie. Nehru Christoph Waltz Spectre Coat is setup in wool blend fabric, includes viscose lining and supreme hemline on bottom. It also contains erect collar with buttoned closure, pockets are two on the outside and two are hidden inside. This apparel is in Navy Blue color.